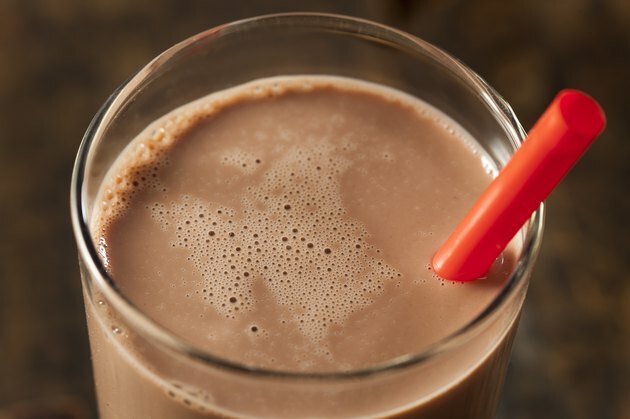 The Slimfast shake has been helping people lose weight since 1977, according to CNN. While meal-replacement diets have been shown to be beneficial to those trying to lose weight, some dieters may have a hard time tolerating the Slimfast drink due to its milk and sugar substitute content, which may lead to diarrhea. Talk to your doctor before starting any weight-loss program. If you're experiencing diarrhea after drinking Slimfast, it may be due to the milk. Fat-free milk is the primary ingredient in the diet drink. Some people have a difficult time digesting the carbohydrate known as lactose in milk because their bodies do not produce enough of the lactase enzyme required to digest it. This condition is referred to as lactose intolerance. Bloating, diarrhea and gas are the common symptoms of lactose intolerance, which only a doctor can diagnose. To help control calories, Slimfast contains two sugar substitutes: sucralose and acesulfame potassium. Although most people have no problem tolerating these sweeteners, some may experience diarrhea, gas and bloating, according to Columbia Health. The digestive byproducts of the sugar substitutes may sit in your colon, which triggers your colon to dilute the waste with water and leads to diarrhea. If your Slimfast-related diarrhea was an isolated event, it may have been due to contamination with a bacterium. In 2009, Unilever, the makers of Slimfast, voluntarily recalled Slimfast ready-to-drink products from the marketplace due to contamination with the microorganism Bacillus cereus, according to the U.S. Food and Drug Administration. While the microorganism may not cause serious health problems, it can cause diarrhea, and in some cases nausea and vomiting. As a meal-replacement supplement, Slimfast helps you lose weight by limiting your overall calorie intake. If drinking Slimfast causes diarrhea, you may want to consider an alternative weight-loss plan. For those having difficulty tolerating the ingredients in Slimfast, meal-replacement shakes that do not contain lactose or sugar substitutes may be a simple solution. Or, you can try a healthy, balanced calorie-controlled diet that teaches you how to eat real foods to lose weight and maintain a healthy weight.